Complete this 3.5-hour PADI Discover Scuba Diving course, and train to do shallow dives up to a maximum depth of 40 feet (12 meters) on this 3.5-hour experience. 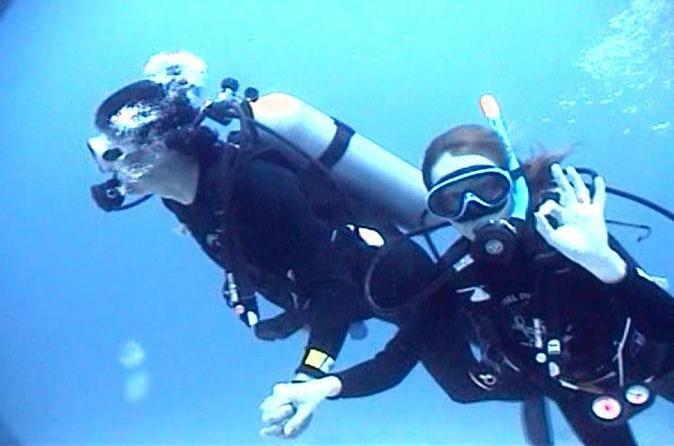 Along the way, learn new skills, and see the underwater beauty of the Playa del Carmen area. Test your technique in a pool dive before taking to the ocean waters for a real dive. Diving 24 hours before flying is not recommended. All participants will be required to complete a health questionnaire prior to diving. Some pre-existing medical conditions (eg asthma, heart conditions, etc) may prevent you from diving.